Hallowbaloo 2017: music, arts and Craft Beer festival! 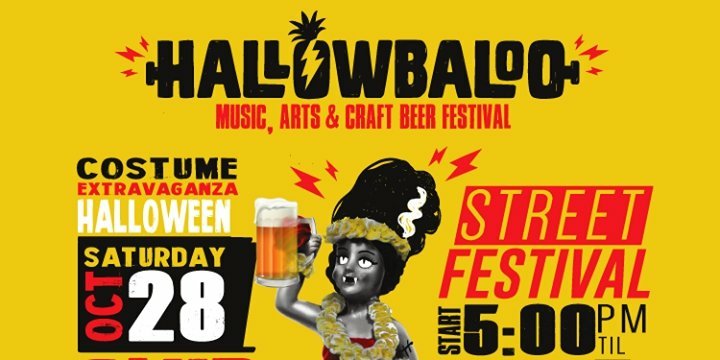 On Saturday, Oct. 28th, Honolulu’s Chinatown Arts District and historic downtown transform into a spooktacular celebration of music, craft beer, food, art and entertainment starting at 5:00 pm. Join us for an evening you’ll never forget! For over 9 years Hallowbaloo has brought together over 40,000 people to celebrate the arts and celebration of Halloween.